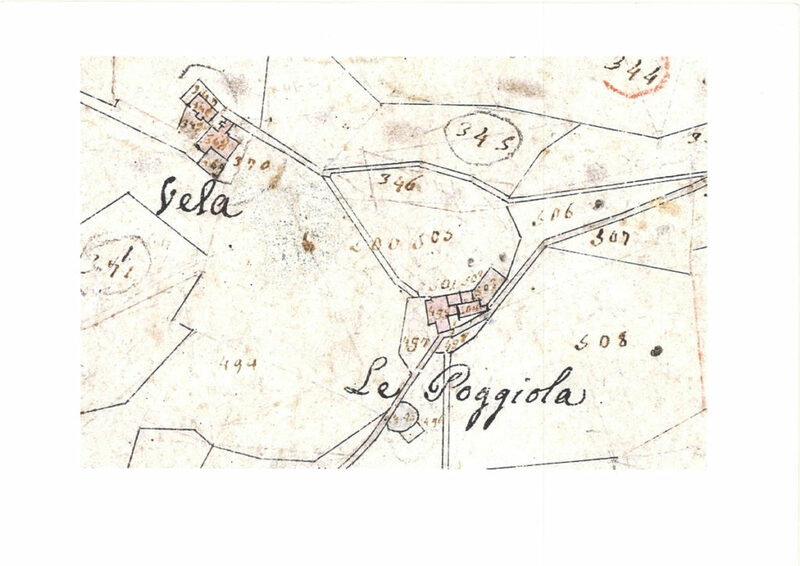 Our history begins in the latter part of the 18th century when the rural farming complex first appears within the Parish boundary of the nearby medieval town of Certaldo. The farmhouse was owned by the Corbinelli, an ancient merchant family of Florentine origin, who distinguished themselves in the economic and political life of the city as well as in banking. 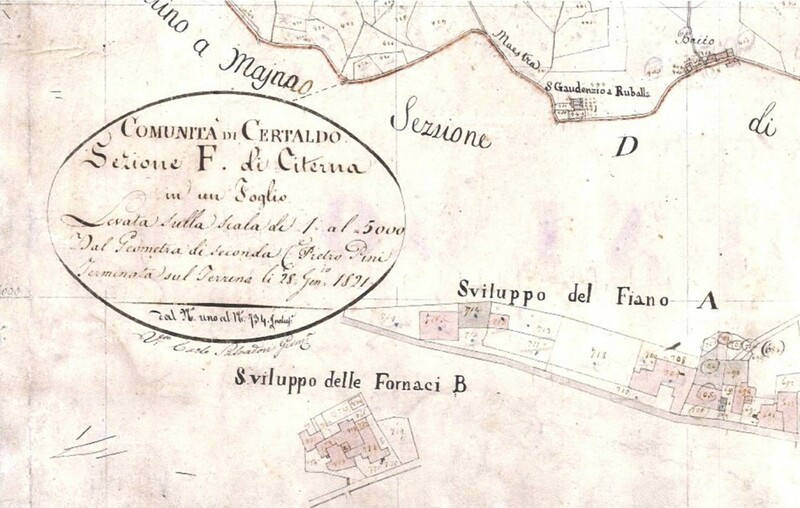 The farmhouse is first mentioned circa 1780 in “The Documents of the Economic Society of Florence” known as the “Georgofili Academy”, the world’s oldest institution, founded in 1753, devoted to the promotion of agriculture. It quotes that the farmhouse excelled at cultivating several products and particularly at producing high quality cheese. After 1800, different families owned the property, each one maintaining the agricultural activity as the principal objective e.g. looking after the land and the production of olive oil and wine. 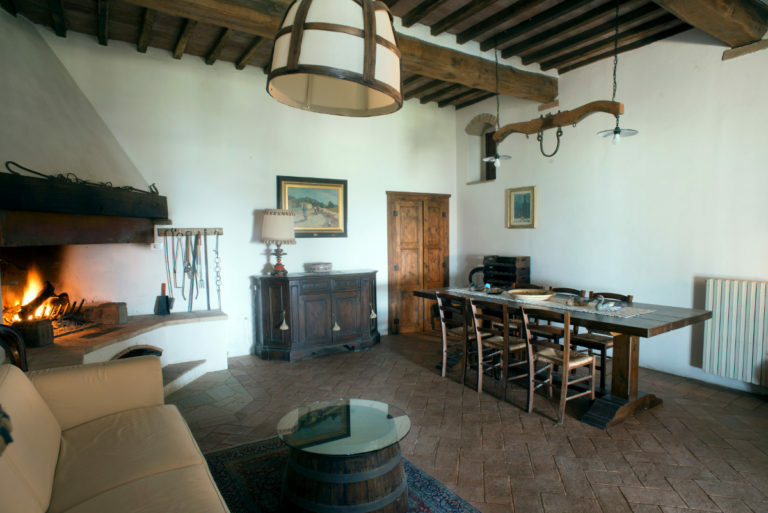 In 1990, the Bonfanti family acquired part of the farmhouse and started a long process of renovation. The loggia, the loft and the cellar have all been restored to the original rustic style by using large oak beams, visible in the Great Hall and kitchen. In the bedrooms, chestnut beams have been used instead. Old bricks were salvaged, cleaned and re-used wherever possible with the aim of re-creating the atmosphere of a typical Tuscan farmhouse. Many articles have also been restored and put to good used once again, like the bed-warmer frame and the old yoke, both lighting up the Great Hall. There is a large imposing dining table which has been hand-crafted from the wood of cypress trees in our estate. 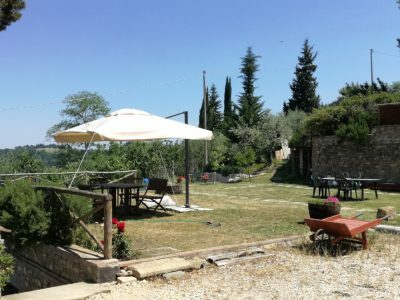 The farmhouse is located half way up a hill at 250 metres above sea level. 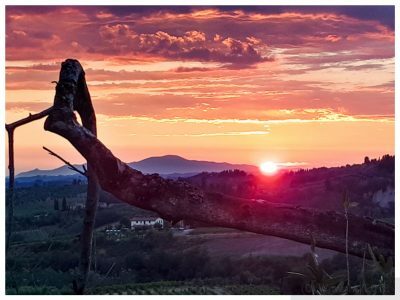 Its unique position affords an incomparable panorama worthy of a painting, one which can captivate you at any time for its spectacular views of the Tuscan countryside. 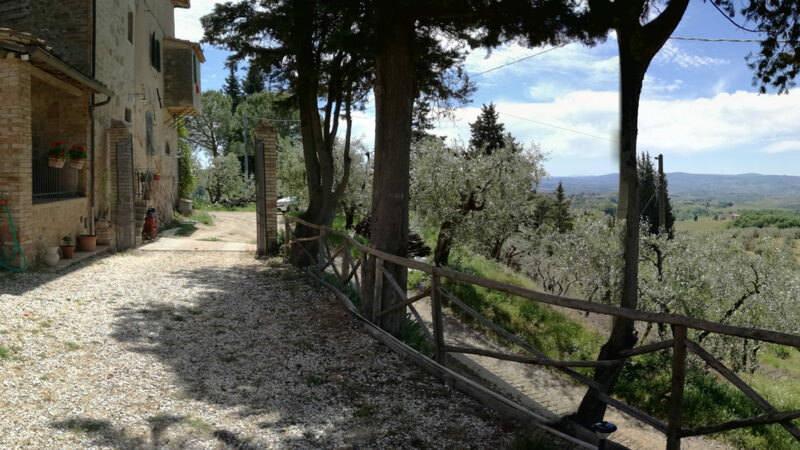 From the Loggia, near the main entrance, one can admire the distant view of the towns of Certaldo and San Gimignano as well as the Apuan Alps and the Appennines. At the end of the day, just relax and enjoy a drink in the Loggia or in the garden whilst watching a beautiful sunset over the Tuscan hills.